Alignment is the process of adjusting vehicle suspension components to bring the wheels and tires into specific angles, facilitating optimal vehicle handling, tire wear, and performance. Expect to pay $70-$100 for an alignment with a local tire shop or mechanic, but depending on where you go, it can be quite a bit more. For example, an alignment service for a luxury car at a dealership can cost up to $200. How long does an alignment take? Typically about an hour. While it's sometimes considered a "drop in" service, many shops suggest scheduling in advance. It's common for a shop to have just one alignment rack/system, and so if you have to take a place in line that will significantly prolong your service visit. Uneven wear across the contact patch/width of the tire. The inside (or the outside) of the tires is wearing faster. 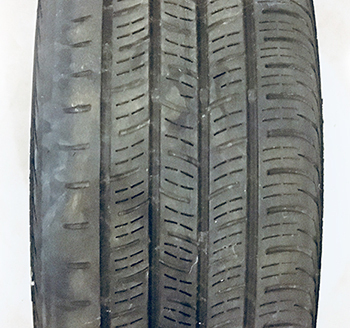 Note that the uneven wear can be limited to just a couple tires, or even just one. Pulsing feedback and shaking of the steering wheel, or through the chassis (felt through the seat). This feedback occurs regardless of road conditions and road surface imperfections. Steering wheel is off center. 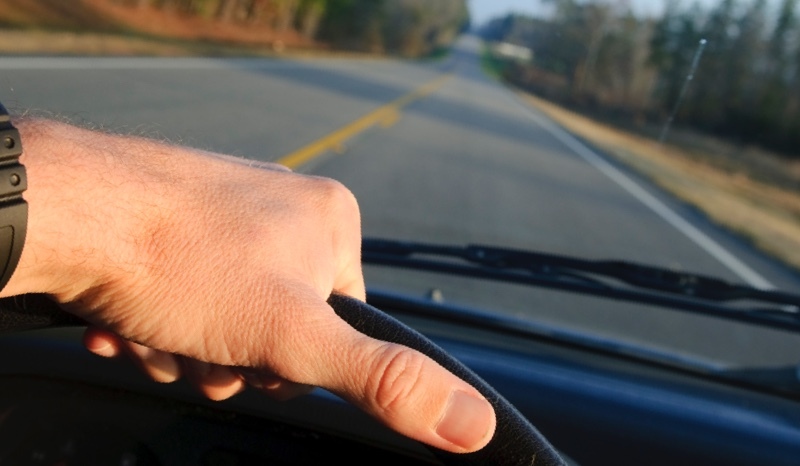 When driving straight, the 12 o'clock position of your steering wheel is to the left or right of center. Pulling left or right. Without steering correction – as in, with your hands off of the steering wheel (we don't suggest making a habit of this) – the vehicle pulls to the left or right. Under normal driving conditions, an alignment once or twice per year is recommended. However, this recommendation is very fluid. If you drive on particularly rough roads, or have a habit of contacting curbs (those pesky things come out of nowhere), then you should probably be on a first-name basis with your alignment professional. Keep in mind that there’s no guaranteed length of time that a vehicle will stay in alignment. If you hit a New York City-sized pothole leaving the shop, the alignment could be undone right then. Do I need an alignment when I get new tires? Not necessarily. But if it's been a while since your last alignment, the mounting of new tires can be a good opportunity to address alignment – especially if your old, dismounted tires are showing signs of uneven wear. Getting an alignment will help ensure proper tire wear and full tire life for your new tires. Is wheel and tire balancing the same as an alignment? No. Balancing involves correcting weight imbalances within the wheel and tire. Small weights are placed inside the barrel of the wheel to create even weight distribution around the wheel. Alignment and balancing are sometimes confused because the symptoms of an out-of-balance wheel/tire, and the symptoms of a vehicle that's out of alignment can be similar – for example, steering wheel chatter. How do I read a post-alignment printout? If the alignment professional doesn’t take the lead, we recommend that you ask them to review the alignment printout with you. Every vehicle has recommended alignment specifications, which are referenced by your shop at the time of the alignment. Following the alignment service, a report should be provided that indicates alignment specifications (camber, toe, caster) before and after. If your vehicle was out of alignment, the service person can explain how the values were out of specification beforehand, and within specification afterward. Often this is shown with red "out-of-spec" values changing to green "in-spec" values on the alignment report. Can tire wear cause misalignment? Note the inside left shoulder vs. the right shoulder. These would be equal under normal wear circumstances. You can also just make out toward the top/middle of the image how the inside main channel is down to the wear bar, whereas the other channels have life remaining. No, it’s actually the opposite – a vehicle that's out of alignment will cause uneven tire wear. Check the wear across the contact patch (width) of the tires. If the inside or outside of any tires are wearing at a faster rate, that's a sign of potential alignment issues. Do I need a front or four-wheel alignment? This depends on your vehicle, and whether there are rear adjustments available. Not every vehicle has rear adjustability. If front and rear alignment adjustments are possible, then you'll want a four wheel alignment. With many shops, the price difference between front and four-wheel alignment services is not significant. Along with regular tire rotation, keeping your vehicle aligned and within specification will provide proper vehicle handling, and optimum tire wear and longevity. Your local TireBuyer installer can perform vehicle alignments – use the link below to find one near you.